Appreciating the performances by all the actors in Mahanati, Jr NTR took to Twitter to share his thoughts about the film and heaped praises on everyone involved with the film. Mahanati, the biopic on veteran glorious actor Savitri, has been receiving rave reviews from all around after the film released on May 9th, 2018. Mahanati has Keerthy Suresh portraying Savitri while Dulquer Salmaan played Gemini Ganesan, Savitri’s husband, in the biopic. Besides earning huge collections at the box office, Mahanati is being hugely appreciated by audience and critics for its elegant portrayal of the life of the iconic actress. From Baahubali director SS Rajamouli to Malayalam superstar Mohanlal, Mahanati has been receiving appreciation from many celebrities too. And the latest to join the list is star actor Jr NTR. 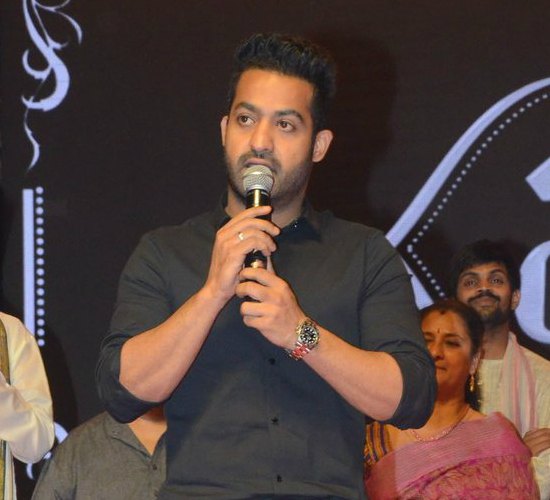 Appreciating the performances by all the actors in Mahanati, Jr NTR took to Twitter to share his thoughts about the film and heaped praises on everyone involved with the film. With all the appreciation and praise coming from all over the world, the makers and actors of Mahanati would surely be a happy group. Besides Keerthy Suresh and Dulquer Salmaan, Mahanati also stars Samantha Akkineni and Vijay Deverakonda in fictional characters. The life of Savitri in Mahanti unfolds from the perspective of Samantha Akkineni who is on a journey to write a story on the actress’ life in the publication she works for. Samantha Akkineni too was commended for her immaculate performance in Mahanati and has been receiving appreciation from one and all.